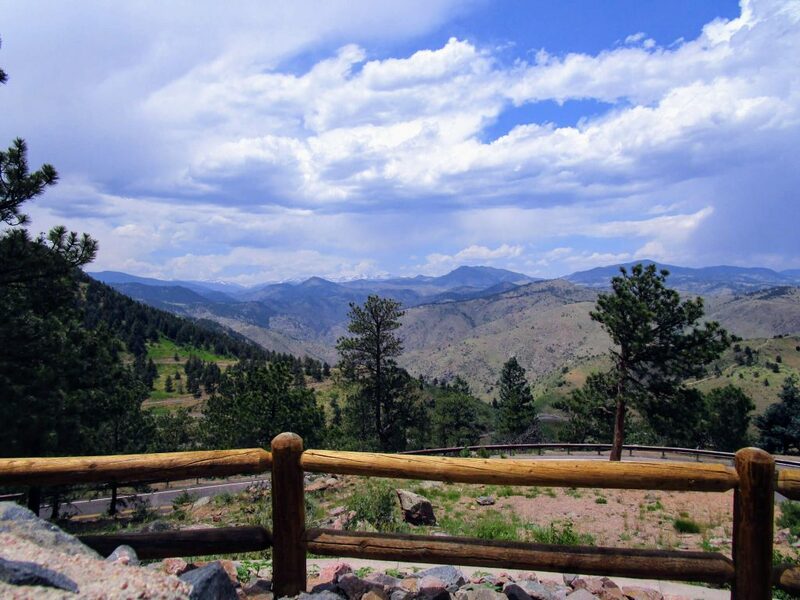 Back in the 1920s when the City of Denver was on a buying spree to buy land in the mountains for its residents, it was also building a road to connect the residents to the new Denver Mountain Parks. This twisty, hairpin-turny, ribbon of concrete, called the Lariat Loop (see map), wiggled up Lookout Mountain around Morrison, Evergreen and Golden for 40 miles. Although it never got the National Park status leaders thought it deserved, it still exists today and provides a great place for a local road trip that leads to several local walks and hikes. Here’s how to drive and walk Lariat Loop. You can drive onto the Lariat Loop from wherever it makes sense for you to start. We decided to drive it clockwise from Dinosaur Ridge, where we made our first stop. I have to say, I was quite confused where “Dinosaur Ridge” is. Ask many a Denverite, and they’ll tell you it’s off I70 at the Woolly Mammoth and T-Rex parking lots. Well, yes, that’s one side of Dino Ridge. But the other side is off C470, and that’s where we started. Geologically Dinosaur Ridge is a segment of the Dakota Hogback in the Morrison Fossil Area National Natural Landmark located in Jefferson County, Colorado. Point your GPS to 16831 W Alameda Pkwy., Morrison, CO. This is the Dinosaur Ridge Museum. Inside you’ll find great touch exhibits for all ages about the history of the finds and the dinos in this area. You can also purchase a $9 bus pass to take you to the sites up on the ridge. Instead, park, enjoy the museum, and then walk the ridge. You’ll see the ridge to the southwest of the museum. There’s a road that goes up the ridge, and you’ll also see many cyclists making the climb. Walk your way up the ridge, reading the interpretation along the way. You’ll see a few giant 15 inch wide (if not more) footprints, an explanation of the terrestrial coverings, and then you’ll see the mother load! 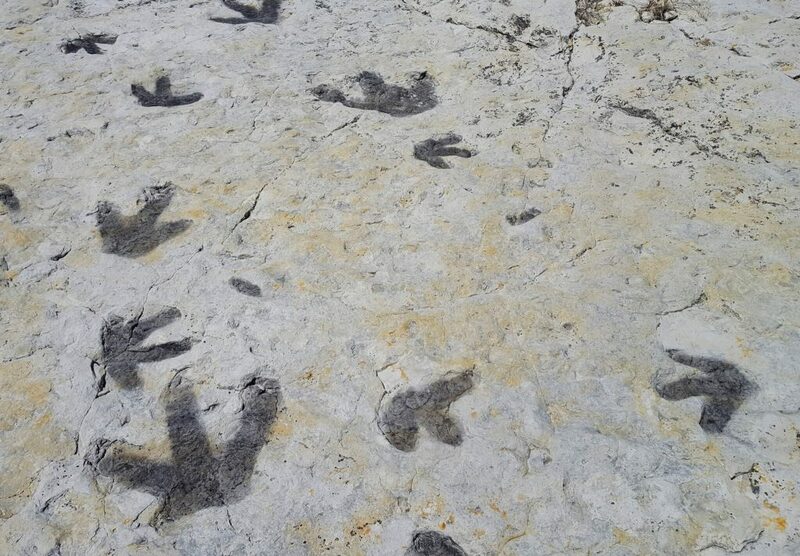 A whole bunch of three-toed dino prints scattering all which way. It’s a giant wall of prints, and the interpretation helps you understand the ways the dinos moved. No matter what your age, you’ll love seeing these great patterns. 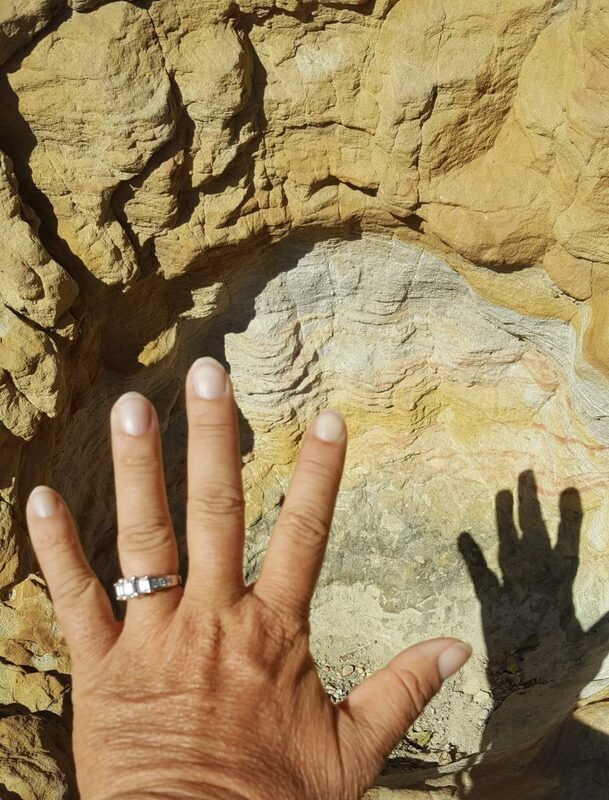 If you’re up for it, continue up the ridge and around the other side for more fossils and geological wonders. Or, head the 1/2 mile back to your car to go to the next stop, which is Red Rocks Park, your first Denver Mountain Park. Volumes have been written about Red Rocks Mountain Park, so I’ll give you the quick and skinny, and I’m going to assume you’ve either seen a show or you’ll see a show in the future at the award-winning auditorium. Thus, I’m going to give you three things not to miss at Red Rocks since you’ve driven there and now you’re walking! Park at the Trading Post, which has a great Electric Vehicle station that is seldom used. Go inside and enjoy the Colorado Music Hall of Fame. Fill up your water bottles, then venture out to the wonderful Trading Post Trail. At only 1.5 miles, it’s packed with the best of Red Rocks Park. With some steeper climbs, but relatively a moderate trail that out-of-towners and kids will love, the trail passes Frog Rock, Picnic Rock, Nine Parks Rock, Ship Rock, Creation Rock and Seven Ladders Rock. 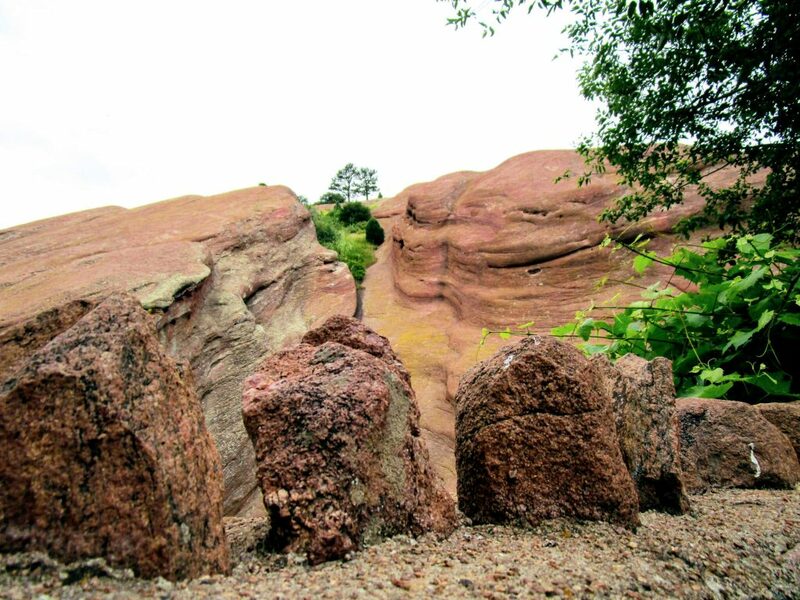 Along the trail, you’ll start to see the geologic history embedded in the rocks showing how the plains clashed up against the Rockies, spilling these red-iron monoliths in their path. The third thing you should do at Red Rocks is the Visitors Center at the top of the auditorium. See who has actually played at the famous hall, learn about the awards its received, and go back in time to famous concerts. Then, plan your next concert event if you don’t have idea already. Now that you’ve been awed by Red Rocks, head to Morrison to the unassuming Morrison Natural History Museum at 501 Colorado 8, Morrison, CO. It has a giant story to tell in the dino hunt of Colorado. See research in progress as the Museum continues to actively studying local paleontology. They’ve recently found a baby Stegosaurus fossils, baby sauropod tracks, and the missing muzzle of Apatosaurus ajax. Before heading west, if you need to grab a bite, back track a block into Morrison and grab some fish and chips at the The Cow Eatery. Otherwise, point your GPS to Little Park, 21763 Miller Ln, Idledale, CO. Sadly, your GPS might miss it. So, point it to Lair of the Bear, but don’t go there. About a mile before Lair of the Bear and right after Idledale, you’ll see a steep road down to the left. Take that road, and you’ll be at Little Park. Park. You won’t be going far. Get out and look at the super octagonal stone structure. Back when the Lariat Loop was built, cars needed water for their transmissions. They’d stop here, refill their radiators, and then head on to O’Fallon Park, our next stop. Before leaving, you can certainly walk into Lair of the Bear through this secret back entrance where you can avoid the crowds at ‘Bear. But save your steps for the next stop. Continue westerly on hwy 74 (Lariat Loop, have you seen the signs?) to O’Fallon Park at 25500 CO-74, Morrison, CO. Pull through the first parking lot, past the gate to the rear parking lots. There will be a lot on the left and the road will go over a small bridge to a larger lot. If possible, park in the small lot on the left. Get out of the car and walk through the lot, moving southerly to Bear Creek. At the creek, you’ll see a dirt road going back toward whence you came. Walk along that, with the Creek on your right and the (unseen) hwy 74 on your left. You’ll walk about a half mile. Cross over the creek. There will be a compost toilet on your right. You’ll see the start of the Meadow View Trail. Follow that to the left to the Stone Chimney Trail, which takes you to the four-side chimney. 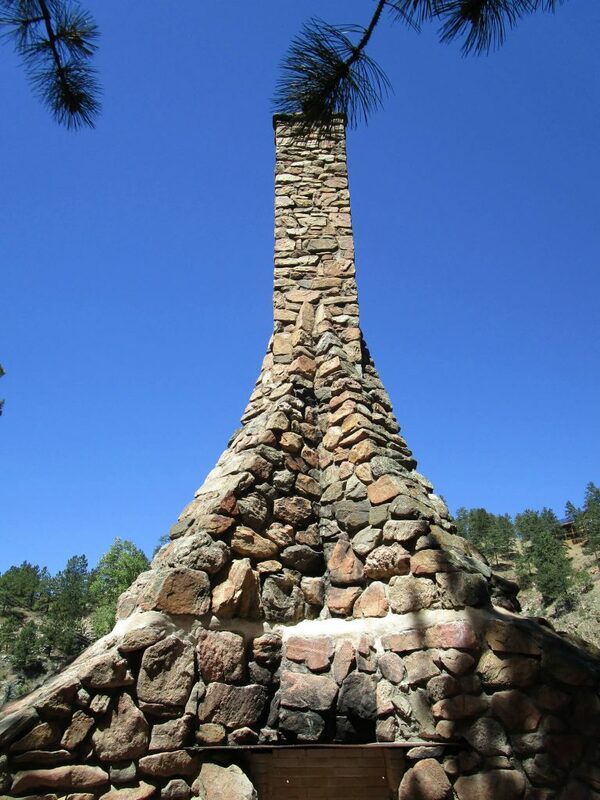 Visit the chimney at the end of the trail. Here, earlier Denverites would stop to fish in the creek then cook their catch on the fireplace while warming themselves with hot cocoa. Walk the half mile back to your wheels and head westerly again towards the next stop, Hiwan Heritage Park. 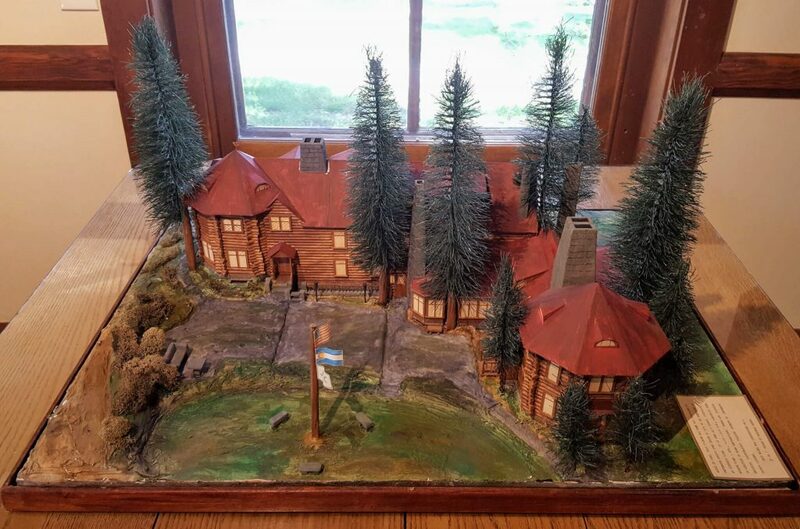 Point your GPS to 28473 Meadow Drive, Evergreen, CO, and get out to enjoy Hiwan, a wonderful 1893 log lodge whose female owners changed this history of Evergreen. The picture above is a model; you can actually go inside. Be sure to visit during hours and get a tour with a docent. It’s free and well worth your time. Afterward, hike across the creek and up the side of the hill to get a view of the Heritage Park. You’ll clock about 1/2 mile. You may be getting hungry by now, but see if you can hold off until after our next stop. 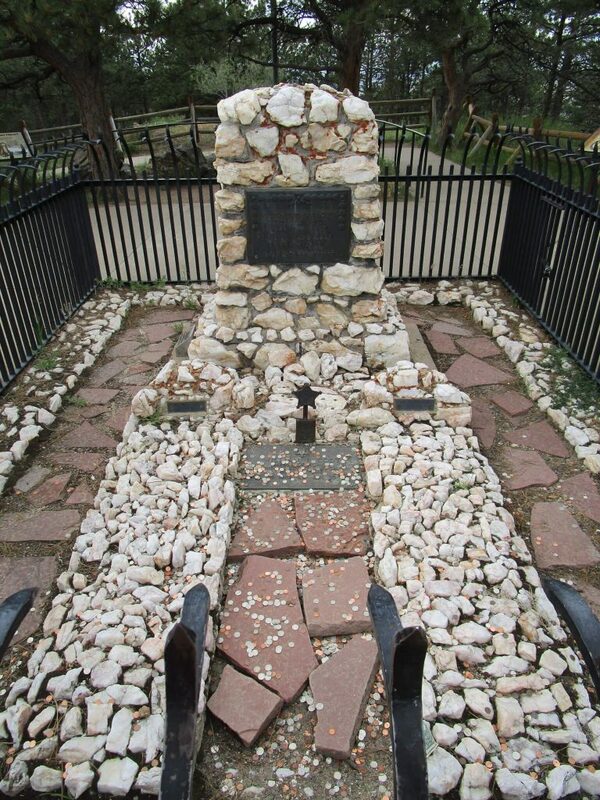 Head to Lookout Mountain and Buffalo Bill’s Grave at 28473 Meadow Drive, Evergreen, CO on Lookout Mountain. Be careful of all the cyclists training for their centuries, and give them wide berth on corners. At the top of the mountain, you’ll want to do three things. The first is to stop in the Pahaska Teepee to see this historic building which was once the museum. Grab a greasy snack if you need to, then go next door to the second stop at the new Buffalo Bill Museum. It’s free for Denver kids with their MyDenver Card, and totally worth the $5 admission for adults. Well stocked with fabulous memorabilia from Buffalo Bill’s Wild West Show and the other elements of his life, you’ll leave with a better understanding of the games of the western frontier. It’s a must-stop and relevant for today’s history. When you’ve got your story straight about Buffalo Bill, head up the hill to the third stop, his and Louisa’s graves. They aren’t spectacular, but they are thought provoking. From here’s it’s also a great way to see Denver’s skyline and understand the beauty Cody saw which made him want it as his final resting place. You’ll walk about 3/4 mile here at Lookout. For the last two stops, point your GPS to Sherpa House at 1518 Washington Ave, Golden, CO. Park along the street. Pop into Sherpa for their lunch buffet where they feature both meat and vegetarian Indian food. Get your fill of savory and spices treats, and be sure to down the chow with a mango lassi. When you’re ready, grab your walking shoes again and head up the hill to the School of Mines Geology Museum. 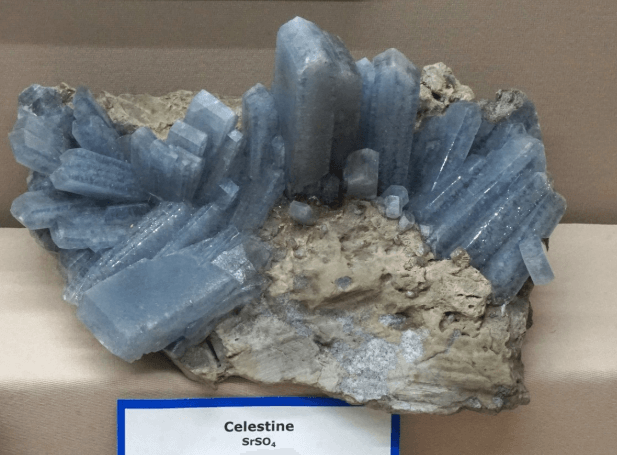 You’ll find the Geology Museum at 1310 Maple St., Golden, CO. Not only is this a great cache of sparkly gems, but it’s got a wonderful recreated mine that both adults and kids will love. You can buy a rock to take home, too. While there, grab the fabulous map of the Bob Weimer Geological Trail. This one-mile amble through Golden takes you through the geological features and fossils of this great town, starting with the story of the Hogback ridge. If you’re still in the discovery mood of the Lariat Loop, head into downtown Golden. 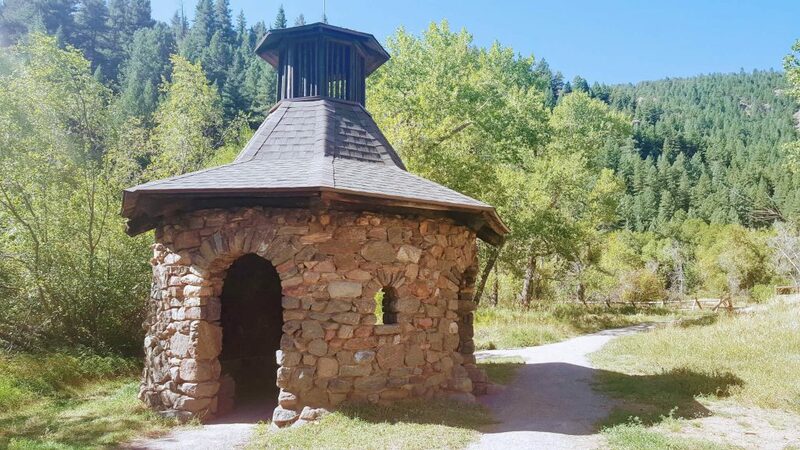 See where the water for Coors beer comes from, grab an ice cream, admire the artwork along the Clear Creek Trail, and do some shopping. You are close to the end of the Lariat Loop. By this time, you will have driven about 40 miles and walked a 3-5 miles if you’ve done all the suggested walking. You surely could do more! The Lariat Loop has hundreds of great finds along it, and we’ve only touched the surface. This post is just to get you familiar with the loop and to expose you to the fun things I’ve done while enjoying the Lariat Loop. But you could also hike, drink beer, race cars, find deer, eat steak, climb boulders, paint scenes, and do one thousand other things on the Lariat Loop. None the less, you can drive then walk, bike then hike, drive then hike, or bike then walk the Lariat Loop. Have fun!